As we prepare to celebrate Memorial Day by cooking outside and shopping inside, Americans will pause to reflect upon those who made and continue to make the ultimate sacrifice for our great country. Although it is but a small gesture, we’ll use this blog today to provide some money saving tips to help our troops. 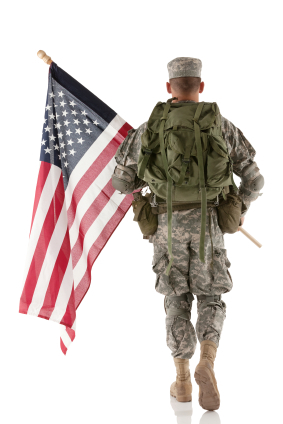 If you are an unmarried military member about to be stationed away from your home for an extended period, several potential opportunities exist to increase your ability to save. If you are going overseas and own a car, you might not need it for a while. Assuming you anticipate needing a car upon your return, keep it. If not, consider selling it. If you hold onto the car, contact your insurance carrier and inquire about any discounts you can benefit from while your car will be idle for an extended period. If you are married or otherwise leaving loved ones behind at home, packing up the home and/or selling the family car obviously won’t work. Other strategies to consider relate to the choices you make while you are away. Choosing to control your spending while away can have a tremendous impact on how much money you return home with much later. Having a reasonable budget for entertainment will go a long way, as will intelligently selecting a prepaid cell phone plan. Ensuring you take advantage of most if not all of the free meals available to you on base can help you save a ton too. Of course, having a frank conversation with your loved one about running the household in a cost effective manner while you are away can only help too. Still, be cautious about the above; if the discount causes you to spend money you wouldn’t otherwise, you’re really not saving – you’re actually spending more. Other opportunities for the military to save include discounts on insurance policies (e.g., homeowner’s or renter’s, automobile) and new car purchases. Military members also have access to save in their TSP, a retirement plan for the armed forces. Much like a 401(k) plan is an important consideration for the civilian workforce, an increased level of saving in the TSP for a military family can go a very long way to ensure a successful retirement many years later. Wrapping up, remember two things. First, it is very rare for people to regret saving too much or beginning too young. Second, thank you for your service and all that you do to protect us- every day. I salute all the army who protects our country.